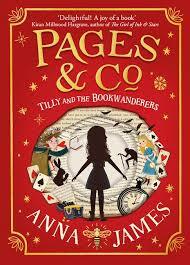 If you’ve ever wanted to dive into the pages of a book, literally, then Pages & Co. will be the pool of words for you! I found myself so easily drawn into the cosy bookshop that Tilly lives in with her grandparents, and even more surprised to find out that it appears to be inhabited by characters from Tilly’s favourite books! For middle grade readers who loved ‘Nevermoor’, ‘Inkheart’ and ‘A Most Magical Girl’, this book will entertain, engage and enliven as well as appeal to anyone who has ever wished their favourite book characters could come to life!